I think we can all agree that Netflix is pretty great. The streaming giant boasts something for everyone; however, there are some significant annoyances. Fortunately, there are some easy fixes. We’ve all been there. You’ve clicked on one of Netflix’s recommended titles or tried watching something a friend suggested, only to be bored to tears. When there simply aren’t enough hours in the day to get through all of the awesome stuff on Netflix, why would you waste your time with a dud? You decide to abandon the movie before it’s over. Unfortunately, if you bailed before the credits started to roll, then Netflix is going to assume you want to finish it. This means that the title you gave up on will linger in your “Continue Watching” list, constantly reminding you of the time you wasted. 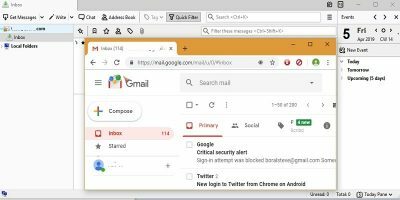 Luckily, there’s a way to remove partially viewed titles from your profile. When you log in to your Netlifx account and follow the link above, you’ll see a list of all the movies and TV shows you’ve watched, starting with the most recent. Find the title you want to remove and simply click the “X” next to it. For TV shows, clicking the “X” will only remove that specific episode. However, Netflix will give you the option to remove the entire series. 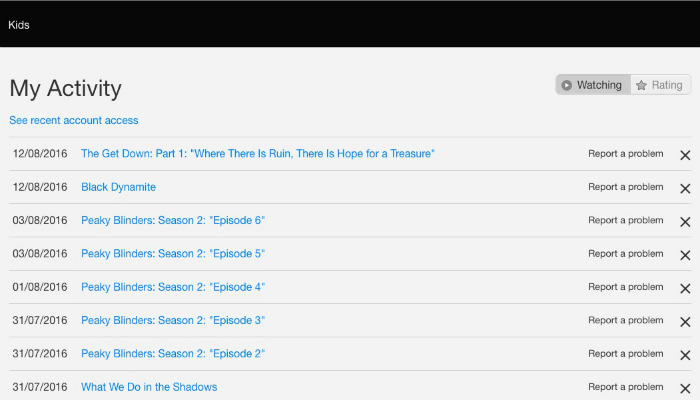 Netflix has a pretty sophisticated way of tracking what you watch. 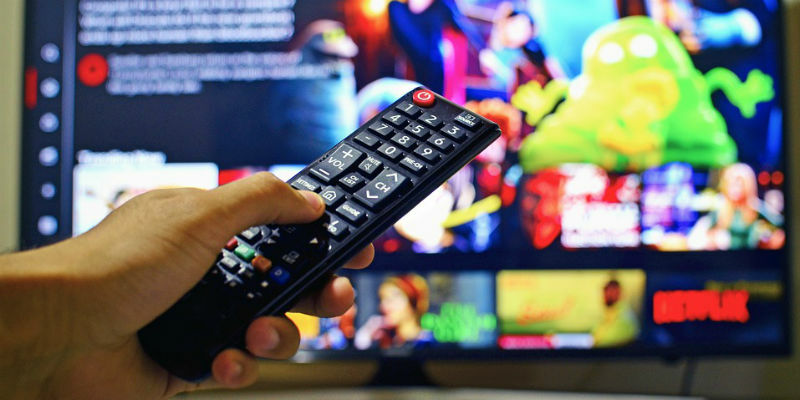 Behind the scenes Netflix’s advanced algorithms analyze what you watch and provide you with tailor-made recommendations. That being said, it’s not always perfect. Sometimes your recommended watch list is littered with stuff you’ve already seen. Other times you find it cluttered with titles you’re not interested in because you indulged in some guilty-pleasure reality TV. Of course, you could just keep watching and hope Netflix eventually realizes that you’re not that interested in old episodes of Cake Boss. However, there is a better way to ensure Netflix recommends titles you actually want to watch, rating everything you watch. If you haven’t been rating stuff, don’t worry. Fortunately, users are able to rate titles they’ve watched by logging in to the Netflix webpage. 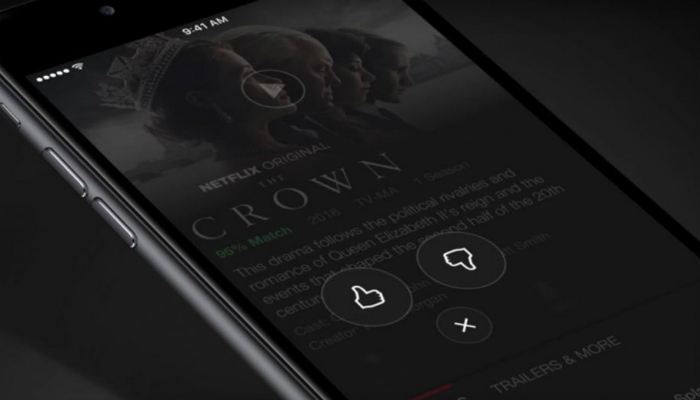 While Netflix relies on other data points to curate its recommendations, user ratings play a pretty big role. By rating titles, users can influence which titles the streaming giant recommends in the future. We all know that Netflix keeps a close eye on what you watch. They use this information for two purposes. First, the data they gather about viewing habits helps them curate content. Secondly, Netflix uses the watch history of each account in order to provide personalized suggestions. This is great, in theory. Netlflix’s recommendations can help users discover movies and TV shows they may have never heard of. 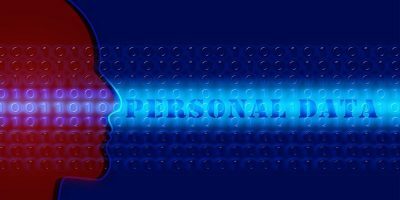 However, if you have too many people with varying tastes accessing the same account, whether it be because you gave your password to friends or never bother setting up individual accounts for family, those suggestions will be all over the place. What can you do if Netflix’s suggestions don’t reflect your personal viewing habits and your account is a jumbled mess of conflicting genres? Luckily, there is a way to get a fresh start. 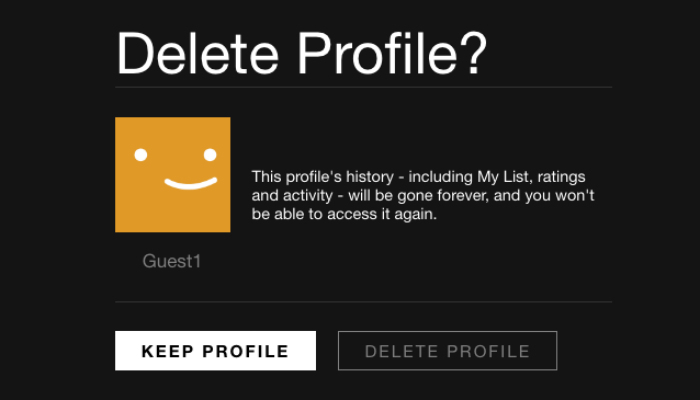 All you need to do is delete your existing account and create a brand new one. To do so, just point your browser to Netflix’s account management page, and select the profile you want to delete. Be aware that deleting a profile also means that the account’s My List, ratings and activity will also be dumped forever. If you’re okay with that, then go ahead and hit the delete button. Netflix tells users which movies and TV shows are trending among other users, but that’s about it. Beyond letting users know which titles are popular, there hasn’t been much in the way of integrating a social component to the streaming service. While Netflix’s recommendation algorithm is scarily accurate, sometimes the best content is recommended to you by word of mouth. Fortunately, there are a few ways you can share your recommendations with friends. First and foremost, if you use the Netflix app, head to a movie or show you like. In the top-right corner of the screen you should see the share icon. It’s the one that has three circles connected by two lines in a sideways “V” shape. Tapping on the share icon, a menu will appear with all of the relevant platforms you can share the title on. Alternatively, if you fancy yourself a cinematic curator, you can use Flixtape. 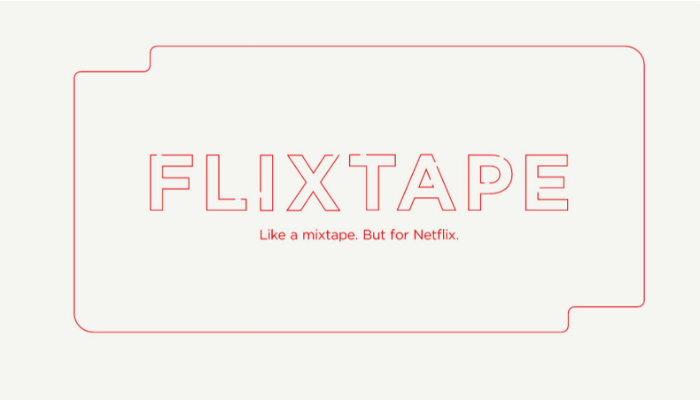 Netflix markets Flixtape as a mixtape for movies and TV shows. 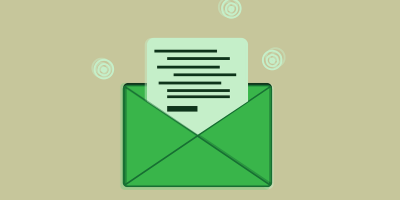 Basically, it is a custom-made playlist that you can share via email, text or social networks like Facebook and Twitter. Users name their mix, edit the playlist and share it with friends and family. Thanks to mobile apps and high-speed mobile Internet, you can binge Netflix anytime, anywhere. 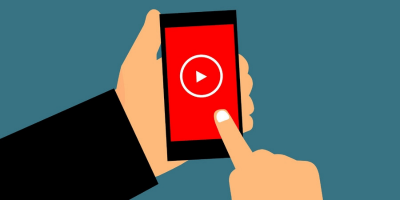 There’s only one small problem: streaming video can chew up quite a bit of data. It’s estimated that about 1 GB of data is consumed by Netflix every hour. However, if you like watching Netflix in high definition, it’s 3GB per hour! 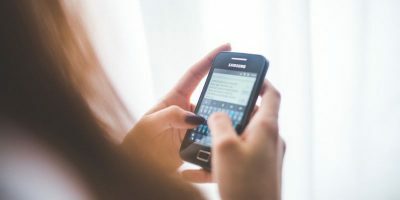 This means that if you’re on a metered connection, you run the risk of burning through all of your data. 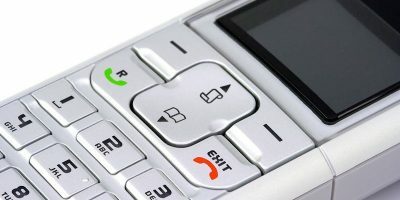 If you’re in an area with a spotty connection, then you’re probably going to suffer from quite a bit of buffering. Fortunately, you can manually adjust how much data Netflix gobbles up to ensure you don’t burn through your data too quickly or suffer from neverending buffering. Fire up the Netflix app on your mobile device and navigate to the Menu. 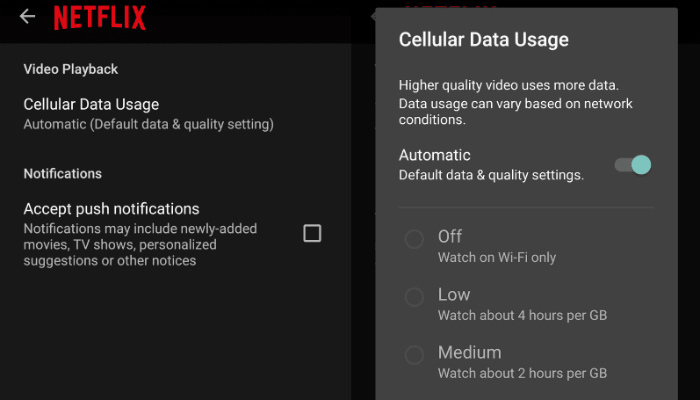 Tap on “App Settings” and select “Cellular Data Usage.” You’ll be able to select the default video quality when watching Netflix via your mobile data connection. Lowering the quality will result in less data being consumed. You may not be able to see the actor’s individual pores anymore, but at least you can watch without interruptions or worrying about how much data you have left. Do you have any tips to improve the Netflix viewing experience? Let us know in the comments!